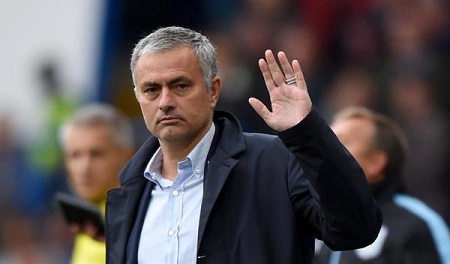 Manchester United coach Jose Mourinho has termed Liverpool’s spending as funny and insists that the pressure is now on Jurgen Klopp to win the title. Klopp sensationally mocked Mourinho, Following Manchester United’s purchase of Paul Pogba, claiming he would leave football before overseeing fortunes spent in the transfer market. “Other clubs can go out and spend more money. I want to do it differently. I would even do it differently if I could spend that money. The day that this is football, I’m not in a job any more.” Klopp said back then. Liverpool went on to spend a remarkable £155 million last season and this summer have spent a further £160m. These totals include them braking the world record fees for a defender and a goalkeeper when signing Virgil van Dijk and Alisson. Following Manchester United’s pre-season win over AC Milan, Jose Mourinho was asked about Klopp’s hypocrisy. “I think if you have the money, if you invest well, is better than to have it in the bank, because the interests are very low! The problem is you have to invest well and honestly I think they did very well because every player they bought are quality players and I’m happy for them. “And I’m also happy to smile and to see that, you know, you can change your opinion and change as a person. Is funny. But that’s okay. ” But maybe this season finally you demand that they win. You, I think, you have to be fair and now you have to demand and say the team with investments, who are making investments that they started making last season, not just this season, last season. “That you made in January, that you make now, that will probably be the record of the Premier League this season, I don’t see another team getting close to that level of investment, a team that was a finalist in the Champions League, you have to say you are a big candidate. You have to win.”, Mourinho said.